Walking Dead creator Robert Kirkman dismissed rumors that Daryl is gay on the Talking Dead with host Chris Hardwick. The debate began after he suggested the possibility in the letters page of the comic book. 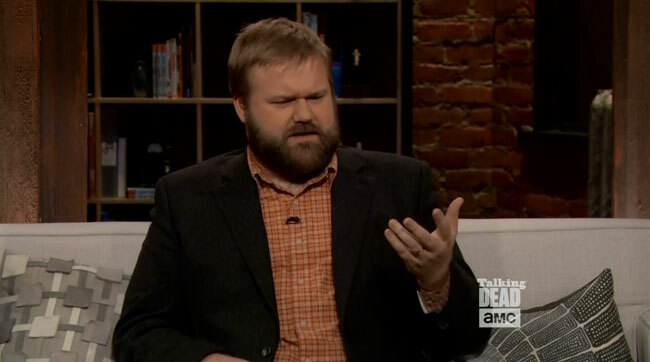 When pressed on the show about Daryl’s sexuality, Kirkman clarified that he was merely saying AMC was not against the idea. That can only be Paul Monroe, whose long hair and beard earn him the nickname Jesus. He approaches Rick after he joins a larger group of survivors in Alexandria, Virginia. Jesus enlists his help in taking down the warlord Negan, who forces every colony in the area to pay protection money. Rick is initially wary of his story and takes him prisoner until he can confirm it. He eventually agrees to release him but Jesus frees himself and reveals he was actually testing Rick. Jesus is a martial artist, who can take on multiple guys at once. Not like that. He’s basically Michonne but without the samurai sword, not that he needs it. Jesus’ sexuality isn’t flaunted anymore than Daryl’s. 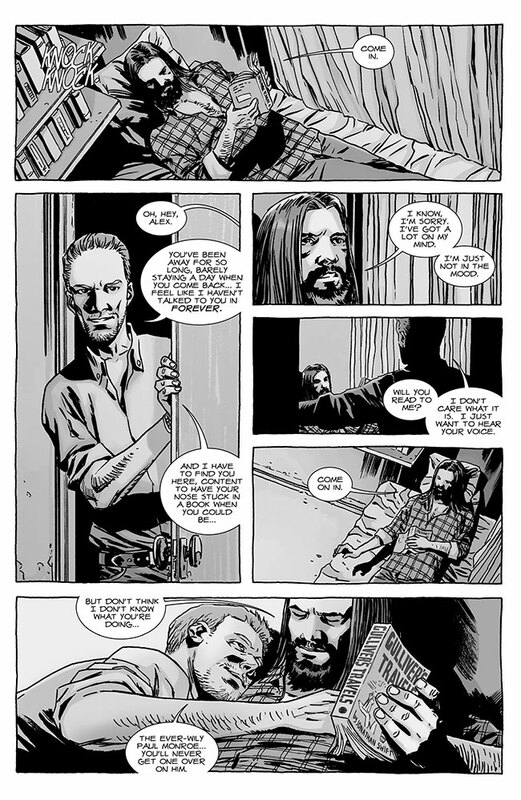 It isn’t revealed he’s gay until much later in The Walking Dead #122 . While reading in bed, Jesus gets a visit from Alex, who isn’t looking for a bedtime story despite what he says.